Makeup on, leather jacket and studded gloves check, hair up, pints down, KISS has arrived in London and so has Tickets There. 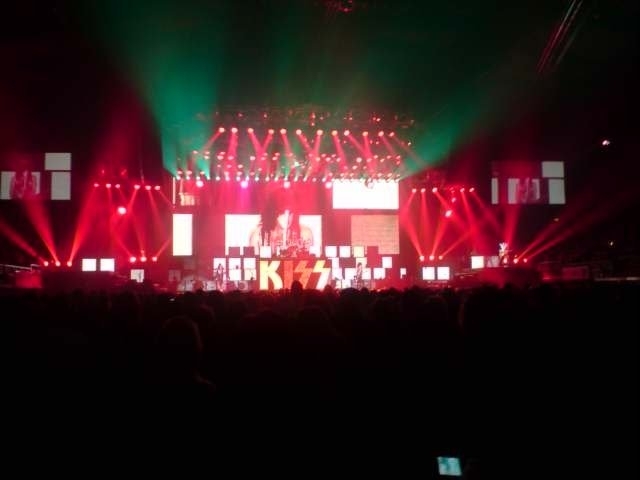 Wembley Arena may not be the most impressive building on the planet but when several thousand KISS fans descend, it (like all venues that host the legendary American thunder Gods) turns into the Taj Mahal. 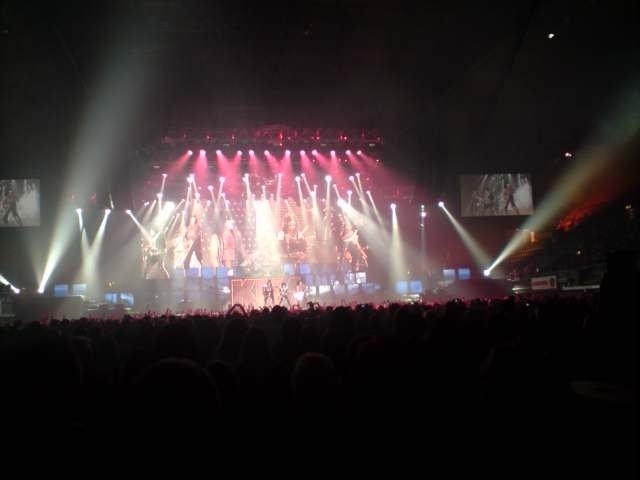 Less than a week after their spectacular show in Dublin’s O2 Arena, KISS are in London to play the first of two nights in North London’s premier hard rock venue and there was no way in hell Tickets There was missing it. Unfortunately, we can’t say the same for the support band Taking Dawn, who we managed to miss for the second time in a row. No worries though, the band everyone’s here to see are in the building and everything’s set to make this one hell of a memorable night. 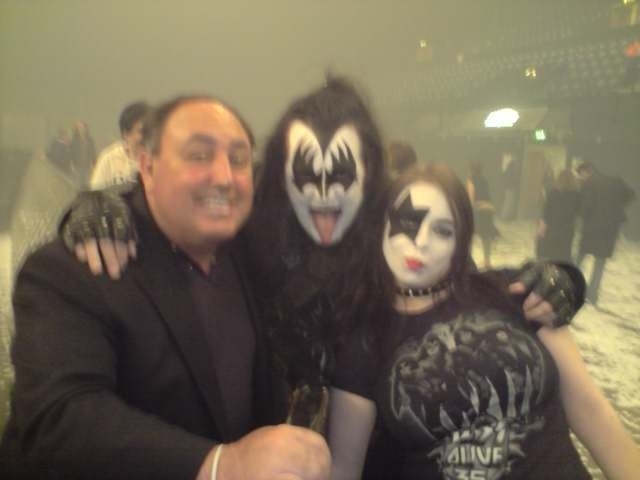 Having seen KISS twice before and going though the ritual marathon Alive I-IV session in the days building up the shows, we thought we were prepared to finally get a grasp on the band and see them as four individuals in makeup playing a rock show like any other. Wrong as usual but happy to admit it. The minute you hear the ‘You Wanted the Best’ Intro, everything goes out the window. 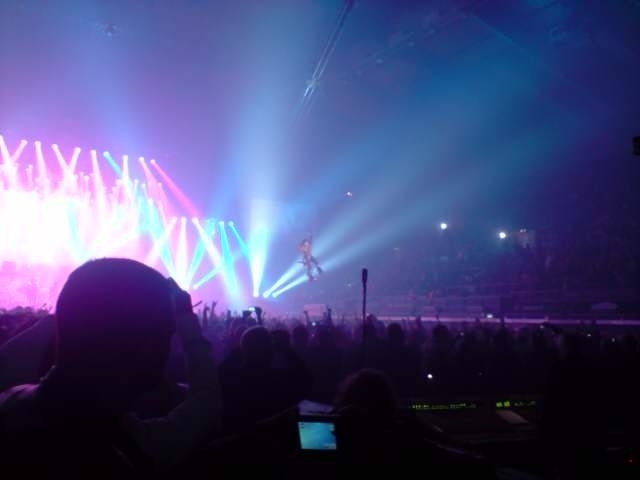 KISS’s arrival on stage feels like the second coming as Gene, Paul and Tommy appear on a lifter high above the Eric’s drum kit belting out Modern Day Delilah like they would any of their classics. 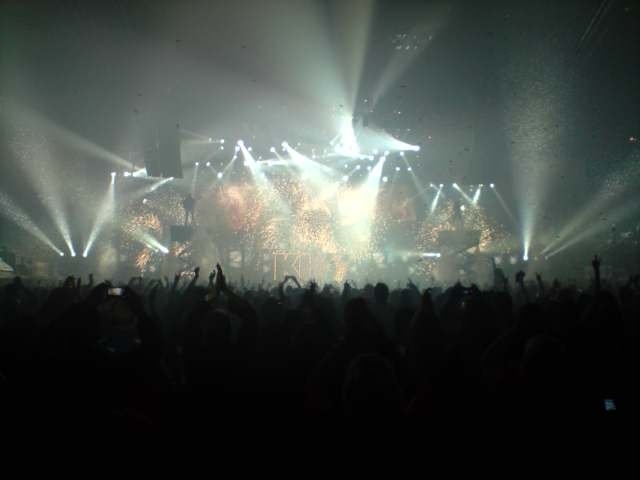 Knowing some of the crowd may be uneasy with a newer number, Paul instantly calms all woes with a blistering assault on Cold Gin and no-one is left in any doubt about the power this band still commands after almost four decades in the business. 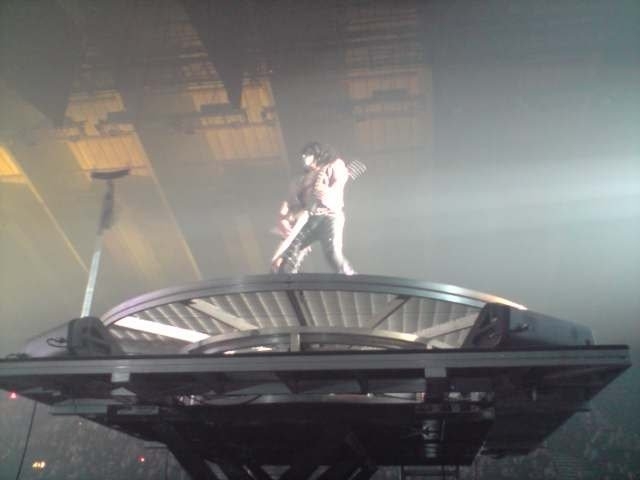 From there, the night becomes a blur of musicianship, showmanship and all out glitz, glory with the best stage show on the planet. Classics such as Deuce, Firehouse, Crazy Nights, 100,000 Years, Calling Doctor Love, Shock Me and Let Me Go Rock N Roll build the main set. 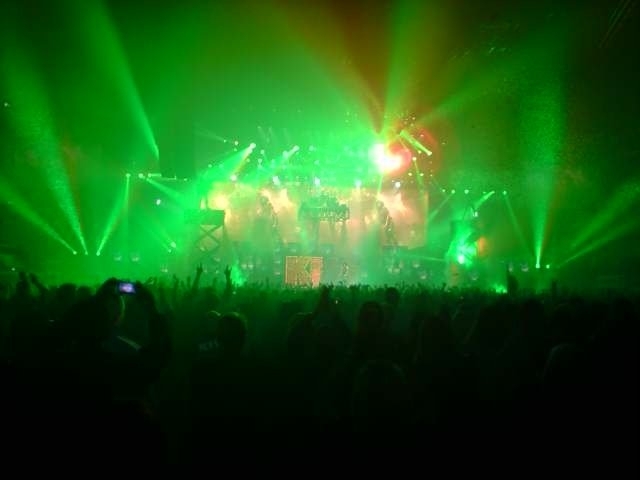 On its own, a fine collection of KISS’s back catalog but topped with the additional live fire breathing, rocket firing guitars, stage risers and a bazooka, they instantly become everyone’s wet dreams. If they left it there, fans would walk home happy. 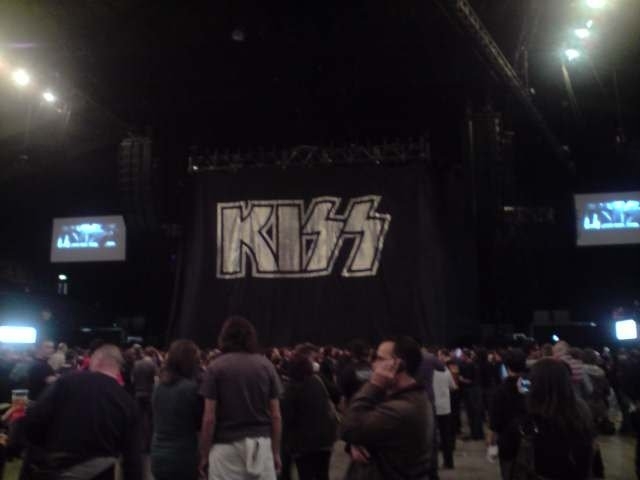 KISS doesn’t want you to be happy, they want to send you home to blinded by their power and, they do just that. All the stops are pulled out for the closing songs. Gene’s classic blood spitting, stage flying bass solo leads into a booming version of I Love It Loud from the top of the lightening rig, Paul and Tommy’s guitars set the stage ablaze with the definitive Love Gun, that see’s the entire arena mass together in their love for these iconic characters, The incredible Black Diamond and Destroyer classic, Detroit Rock City and its massive cluster of explosions and fire close the main set, setting KISS up as 2010’s conquering heroes. But they ain’t finished yet! As if it all wasn’t enough, KISS turn up the heat and everything else with a five song encore that includes sing along favorites, Lick It Up, Shout It Out Loud, I Was made for Loving You (sang by Paul from his revolving stage in the middle of the crowd), God Gave You Rock N Roll II and the monumental, career defining Rock And Roll All Night. 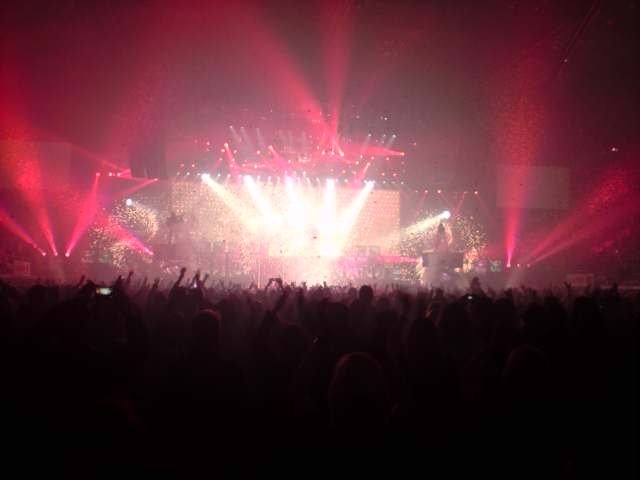 House lights on, a never ending mass of confetti filling the arena’s enormous space and America’s greatest rock n roll band performing one of the greatest rock songs of all time to a packed house of adoring fans! Is there any way to beat that for a closing moment? Not a chance! 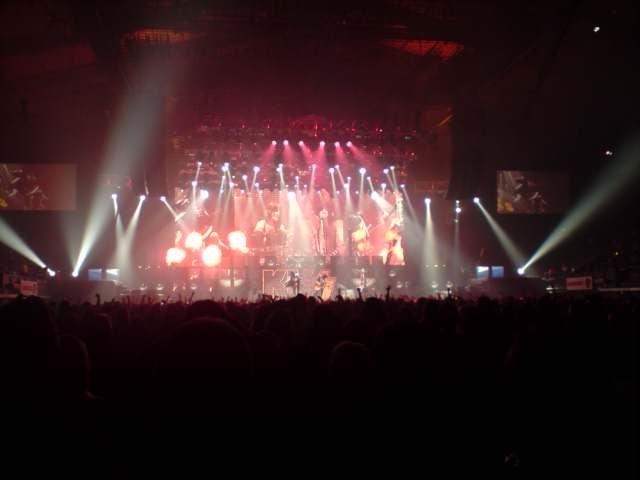 This entry was posted on May 31, 2010 at 5:42 pm and is filed under Gig Review, Music with tags KISS, KISS 2010 European tour London, KISS Dublin, KISS Dublin review, Kiss europe 2010, KISS European Tour, KISS London, Kiss london arena, KISS London review, KISS London reviews, Kiss may 12th, KISS Wembley Arena, KISS Wembley Arena May 12th, KISS Wembley Arena review, KISS Wembley Arena reviews, Wembley Arena London, Wembley Arena reviews. You can follow any responses to this entry through the RSS 2.0 feed. You can leave a response, or trackback from your own site.